We are manufacturing high quality machine with dynamically balanced process shafts. It is manufactured meeting international standards. Also, built with us most precision which ensure zero maintenance up to 10 years. 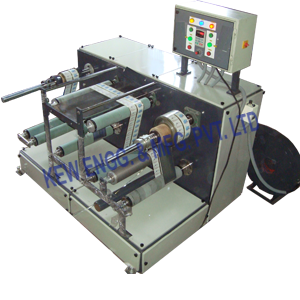 Our Doctoring Slitting Rewinding Machine is featuring on expending less power. Also, majorly used for Doctoring Slitting all types of Laminates like, Foil, Paper, LDPE, HDPE, PVC.